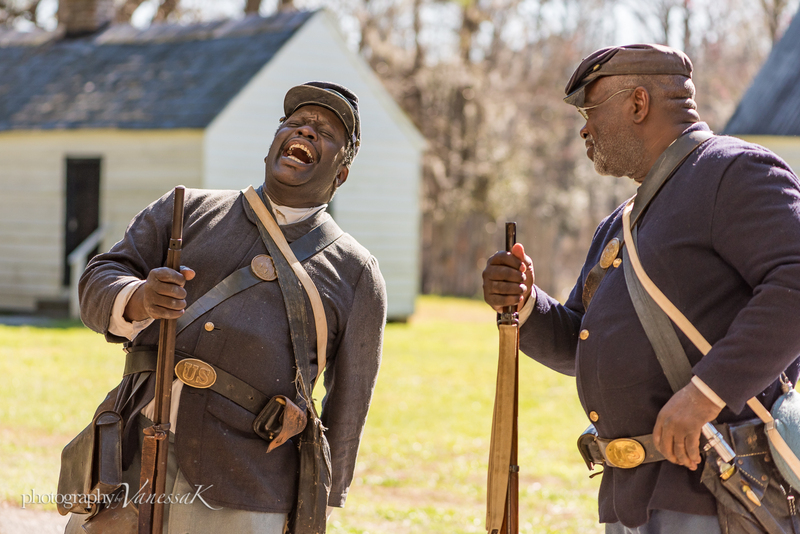 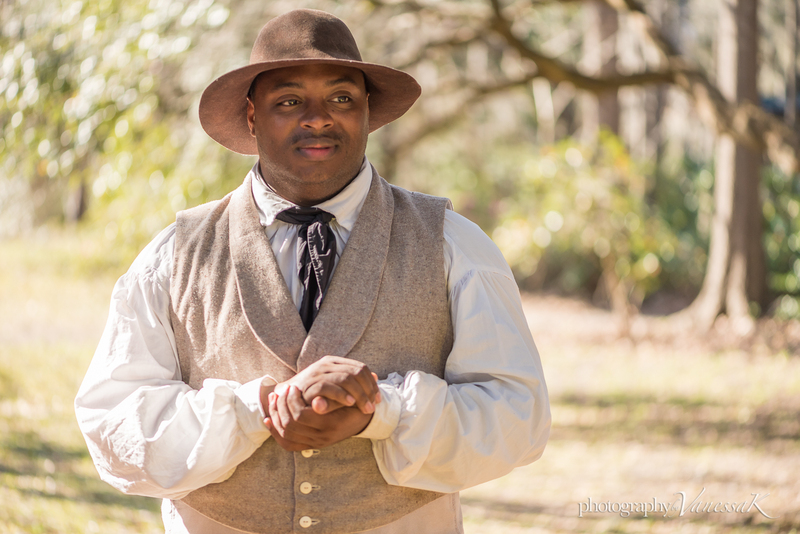 Yesterday afternoon a group of talented historical re-enactors entertained and educated folks at Magnolia Plantation. This particular program is titled "Through the Eyes of the Enslaved" and included storytelling, blacksmithing, and outdoor cooking. Featured presenters were Joe McGill, James Brown, Sara Daise, Christine Mitchell, Dontavius Williams, Jerome Bias, Nicole Moore, and Gilbert Walker. 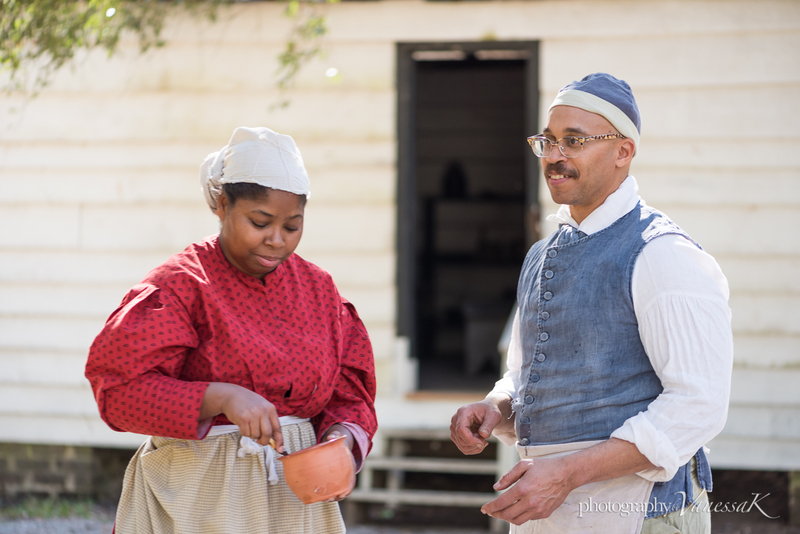 The following information is quoted from Magnolia Plantation's website; "Living History Through the Eyes of the Enslaved" is offered in cooperation with the Slave Dwelling Project, created by Joseph McGill, Magnolia's history consultant. 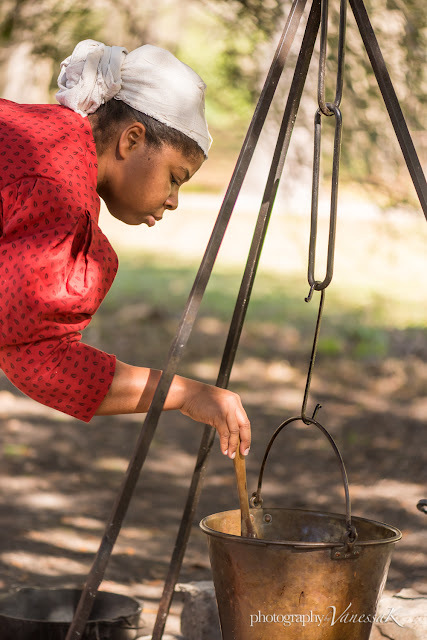 Through the Slave Dwelling Project, McGill has traveled to 17 states to spend the night in 91 structures that were once the home of enslaved families. 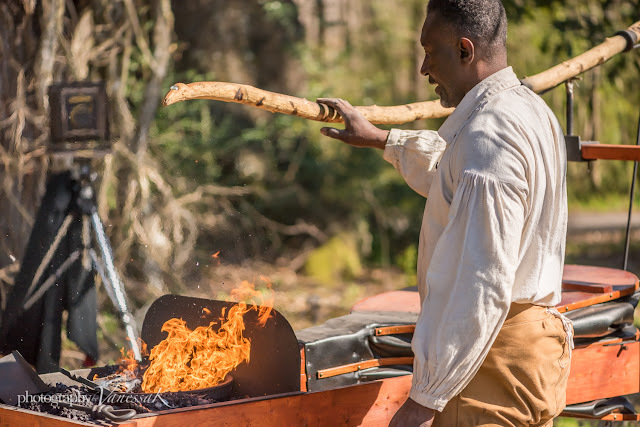 He launched the project at Magnolia nearly seven years ago. 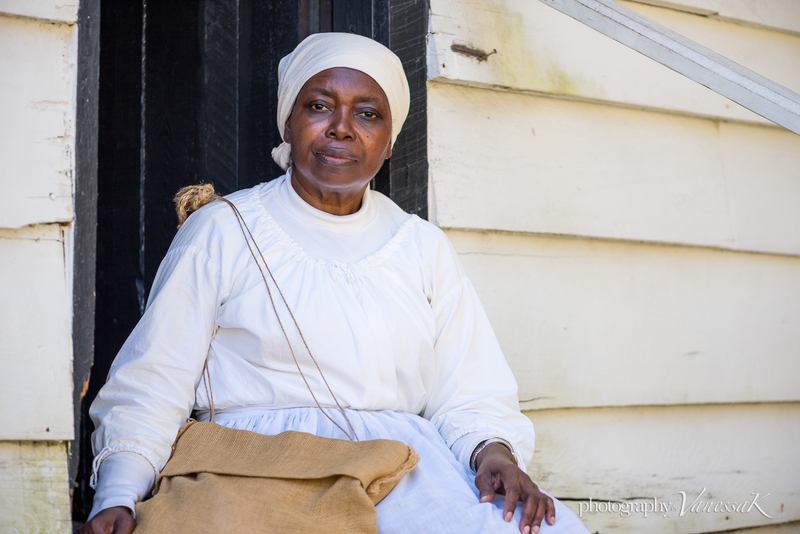 "Living History Through the Eyes of the Enslaved is our opportunity through the Slave Dwelling Project to tell our own stories," McGill said. 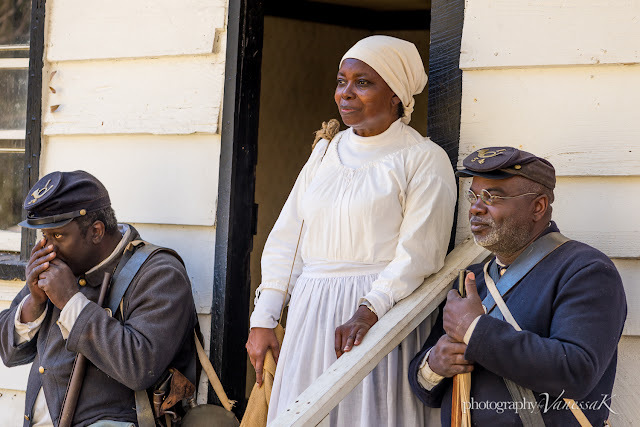 "We've assembled a group of African American historians who're doing on-going research to bring to the public up-close and authentic educational demonstrations."